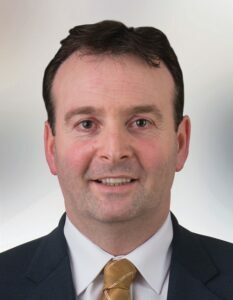 Cyril was co-opted to Mayo Co Council October 2003 and elected to Mayo County Council in 2009 and 2014, and served as Cathaoirleach in 2012/13. He is a member of West Regional Authority and a Member of BMW Assembly (Chairman 2012/13). He was a Sales Representative with Heiton Buckley from 1985-2005 and currently works as the Director of M&C Financial services. He is a former Ballintubber footballer and former Ballyglass FC soccer player. Cyril was educated in Mountpleasant N.S, Ballyglass St, Louis Co-Ed Balla and NUIG Galway. He believes in the revival of rural Ireland through support for communities.